Contact Marty Sussman Mazda Hyundai today for information on dozens of vehicles like this 2019 Hyundai Veloster . This wonderfully fuel-efficient vehicle offers a supple ride, quick acceleration and superior styling without sacrificing MPGs. This is about the time when you're saying it is too good to be true, and let us be the one's to tell you, it is absolutely true. The look is unmistakably Hyundai, the smooth contours and cutting-edge technology of this Hyundai Veloster will definitely turn heads. There is no reason why you shouldn't buy this Hyundai Veloster . It is incomparable for the price and quality. Sussman Automotive, located in Eastern Montgomery County, is a multi-generational family operated group of dealerships that believes in forging lifelong relationships with its customers, employees and the community. Sussman represents the new car franchises of Honda in Roslyn, Acura and Kia in Jenkintown, Hyundai and Mazda in Willow Grove, with a tremendous selection of pre-owned vehicles at each location. Sussman has been selling and servicing vehicles in the greater Philadelphia area since 1959. It is Sussman Automotives intent to exceed its customers expectations in every aspect of their business by providing the highest quality products and services in the automotive industry. The Sussman Automotive group has worked tirelessly to earn and maintain a reputation of being the best by demanding excellent customer satisfaction from their employees and by being a good neighbor to the community. For sales, service and parts for Honda, Acura, Kia, Hyundai and Mazda vehicles, the Sussman Automotive dealerships should be your choice in Eastern Montgomery County. This 2019 Hyundai Elantra SEL is offered to you for sale by Marty Sussman Mazda Hyundai. This Hyundai includes: BLACK, PREMIUM CLOTH SEAT TRIM Cloth Seats CARGO NET (PIO) *Note - For third party subscriptions or services, please contact the dealer for more information. * This is about the time when you're saying it is too good to be true, and let us be the one's to tell you, it is absolutely true. You can finally stop searching... You've found the one you've been looking for. The look is unmistakably Hyundai, the smooth contours and cutting-edge technology of this Hyundai Elantra SEL will definitely turn heads. Sussman Automotive, located in Eastern Montgomery County, is a multi-generational family operated group of dealerships that believes in forging lifelong relationships with its customers, employees and the community. Sussman has been selling and servicing vehicles in the greater Philadelphia area since 1959. It is Sussman Automotives intent to exceed its customers expectations in every aspect of their business by providing the highest quality products and services in the automotive industry. The Sussman Automotive group has worked tirelessly to earn and maintain a reputation of being the best by demanding excellent customer satisfaction from their employees and by being a good neighbor to the community. For sales, service and parts, the Sussman Automotive dealerships should be your choice in Eastern Montgomery County. Contact Marty Sussman Mazda Hyundai today for information on dozens of vehicles like this 2019 Hyundai Elantra Value Edition. Just what you've been looking for. With quality in mind, this vehicle is the perfect addition to take home. You could keep looking, but why? You've found the perfect vehicle right here. You've found the one you've been looking for. Your dream car. The look is unmistakably Hyundai, the smooth contours and cutting-edge technology of this Hyundai Elantra Value Edition will definitely turn heads. Sussman Automotive, located in Eastern Montgomery County, is a multi-generational family operated group of dealerships that believes in forging lifelong relationships with its customers, employees and the community. Sussman has been selling and servicing vehicles in the greater Philadelphia area since 1959. 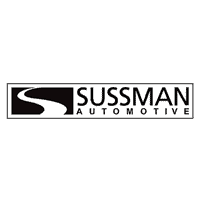 It is Sussman Automotives intent to exceed its customers expectations in every aspect of their business by providing the highest quality products and services in the automotive industry. The Sussman Automotive group has worked tirelessly to earn and maintain a reputation of being the best by demanding excellent customer satisfaction from their employees and by being a good neighbor to the community. For sales, service and parts, the Sussman Automotive dealerships should be your choice in Eastern Montgomery County.